Just because we teach students from other cultures doesn’t mean we necessarily understand or are sensitive to the backgrounds our students come from. Recognizing differences in food, dance, and dress can create an appreciation for culture, but developing deep cultural sensitivity comes from a different place. Being a ‘culturally responsive’ teacher involves a deep awareness of how our actions impact our students, and how our students’ worlds are affected by the cultures in which they live. Know yourself. Spend some timereflecting on your own experience. How does your background affect your perceptions? What types of experiences do you have with people of different cultural backgrounds? How might these experiences (or lack of) influence your understanding of your students? Believe in your students. Regardless of background, all children have an intelligence in some area. Look for these skills and communicate this to them through your teaching style, the materials you choose, and your responses to them. Be proactive. Look for ways to actively support and advocate for your students. Acknowledge difference. ‘Being colorblind’ means you don’t see a significant part of who a person is. Listen to Diane Harriford describe how to be ‘color conscious’. It's important to pre-teach vocabulary to students to increase their comprehension. 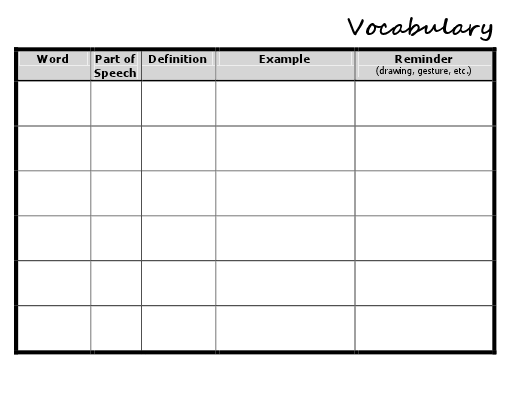 This is a graphic organizer I use in one of my EAP classes to help introduced advanced academic vocabulary. Graphic organizers are great ways to help English language learners deepen their reading comprehension and vocabulary skills. This graphic organizer is based on Bloom's Taxonomy, Step 1 - Knowledge, and helps students with skills of selecting, listing, and defining. Matt Soerens, the author of Welcoming the Stranger: Love, truth and compassion in the immigration debate, moderates a great website to learn about and discuss issues around immigration. Check it out here. Determining which type of program to pursue for TESOL qualifications isn’t as simple as one might think. English language teachers come from a variety of training backgrounds – all valid and useful for their specific purpose, but quite varied in actual training courses. Before pursuing training, it’s important to determine what type of job you are most interested in to identify the type of degree you’ll seek. Each of the degrees described below provides English teaching qualifications, but for different contexts and settings. In the everyone-needs-to-read book The Shallows: What the internet is doing to our brains, Nicholas Carr makes a strong case that with the explosion of technology in the past decade, it is controlling us (and reformatting our brains) without our knowledge or consent. As teachers, it is essential that we use technology purposefully, not as a time-filler or wow-factor. Content > Venue.What you teach must always be more important than the venue with which you present it. Heck, showing students YouTube videos all days is a hoot, but if it doesn’t support the content, it’s worthless. Context > Tool.I love social networking for the ability it gives me to access so much around the world. However, just because I like twitter, doesn’t mean it’s an appropriate tool for a first grader – kids need to first develop face-to-face relational before they encounter the world of social networking. In the same vein, language learners need face-to-face practice with language before we set them loose on language learning sites and programs. Clearly, this doesn’t mean technology is bad for kids (or language learners), just that teachers need to be careful to match the appropriate tool to the needed skill. Familiarity > Variety. When it comes to having students use technology for themselves, I find that just because they can text in their pocket doesn’t mean they know how to effectively use presentation software or great sites like Voicethread, Evernote or Twitter. All things considered, technology is definitely still a great addition to the classroom. My new favorite tech site for language teachers? TeacherTrainingVideos by Russell Stannard. Also known as linguistic imperialism, the use of one language to the exclusion of other languages has significant affects on the trust between majority-minority. A good example of this is the Sinhala only Act in Sri Lanka. When the newly independent Sinhalese government declared Sinhala the only official language, it forced most non-Sinhala speaking Tamils out of government work, effectively eliminating their power. In other countries, such as Turkey and Slovakia, minority language speakers are persecuted. 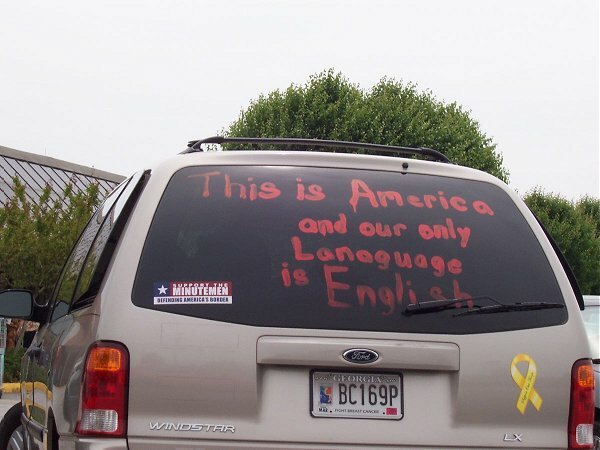 English is not the ONLY language spoken in America. Just because the majority speaks it does not mean that all speak it at the same level. Immigrants currently make up 12.4% of America’s population. To remove government documents, especially in Spanish (which is currently widely available), would be a slap in the face to Spanish speaking American citizens. As the world continues to globalize, to establish a law which prohibits the use of other language only continues to make America less competitive globally. Should we value it appropriately, multilingualism will be a benefit to our country, not a deficit as the English only advocates claim. For further reading, James Crawford has an excellent FAQ about Official English that explores this issue in more depth. Are there other important considerations you would add? Further questions for consideration? The Flatmates is a pithy, entertaining series of four characters - students will love following the episodes. What's great about this series is that each episode comes with materials, ideas, and worksheets for teachers, as well as quizzes and vocabulary lists. This would be a particularly great resource for teachers with access to the internet, but lacking on extra teaching materials - everything you need for a whole series of lessons is on the website! Diagnostic test that measures your ability and places you at a specific level. Ability to print sentence completion or matching worksheets. Really, the only downside to this website is that it's not free :(. 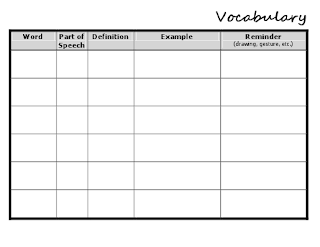 Though simpler than Vocab Sushi, it's a great FREE way to practice vocab at a specific level as it also guages the level you are at in vocab and teaches words from there. 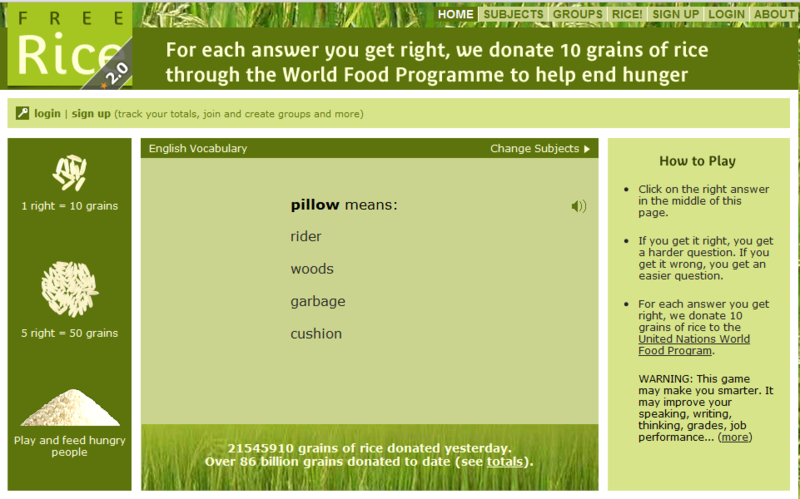 Another great perk is that for every answer you get right, Free Rice donates 10 grains of rice to the World Food Programme. 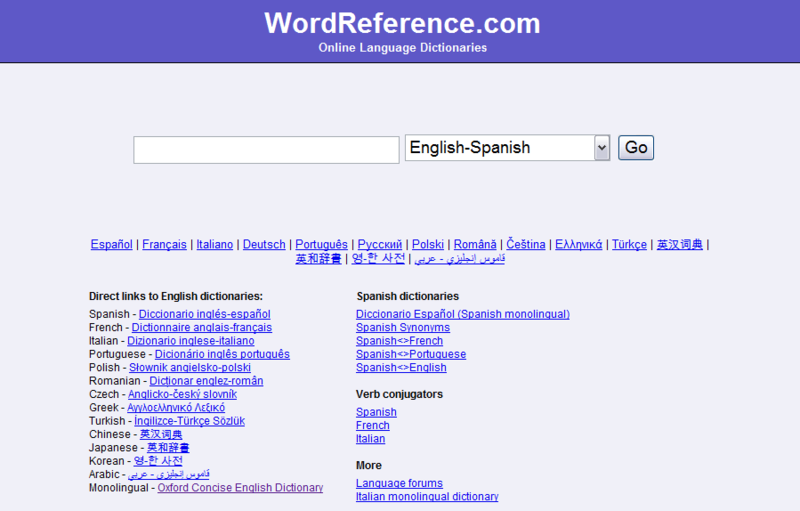 Word references offer English dictionaries in 13 languages, plus a monolingual dictionary. What I LOVE LOVE LOVE about this site is all the extra usage tips it provides to give the words contextual meaning. It offers forums for native speaker / L2 learner interaction, as well as multiple forms of usage for each word. While the interface looks fairly simple, the breadth and depth of tools on are fantastic. Summary: this book helps those considering teaching overseas reflect on the many aspects of and skills needed for this endeavor. Chapter topics include: worldview, philosophy of education curriculum, practical applications, qualities of good teachers, expectations and accomodations, and culture shock. Note: it is written from a Christian perspective. I was quite excited when I saw Michael Romanowski and Teri McCarthy’s new book Teaching in a Distant Classroom: Crossing Borders for Global Transformation (Intervarsity). I supervise international TESOL practicums during the summer and have been looking for a book like this for quite sometime. I had high enough hopes that it would be suitable for my students to read that I assigned it to them before I had actually read it. I’ve now finished, and am delighted to report that it’s even better than I’d hoped! my favorite chart goes quite in depth comparing culturally responsive teachers with Jesus’ teaching. Other interesting components of the book include a plethora of personal perspectives from people who have taught abroad, helpful websites, movie recommendations and a variety reflective questions for the reader. On top of this, the entire book repeatedly explores how committed faith and excellence in teaching integrate. For the Christian overseas teacher, Teaching in a distant classroom is a thorough, honest, and challenging introduction to teaching abroad. I’m completely thrilled for my students to read this as they complete their practicums as it synthesizes so much of what they have studied in their coursework. I’m excited to hear their responses. I’ll be highly recommending the book to every TESOL practicum supervisor I know, plus to the many others who contact me regarding teaching abroad. It is a realistic, practical, and wise guide for those heading down the path of teaching in a distant classroom. Certificates vary widely in quality and degree. You can get a TESOL certificate online or in class. You can get them from a well-known organization such as Cambridge or Oxford or from very local or purpose specific organizations (such as churches training for their mission or literacy organizations training for tutoring). The challenge is that there is no regulation of quality in TESOL certificates apart from institutional reputation. Online training programs lack the crucial component of face-to-face and classroom experience. While a lot can be learned well on line, the actual interpersonal skills of being in front of and executing a classroom cannot. I much highly favor hybrid training programs that are partially online, partially in person. These can often work well with teacher schedules as the in person component is scheduled during holidays. I’m not at all against on-line learning – in fact, I think there are times when you can actually learn MORE online – but for certain courses, face to face experience is a must. University based programs tend to be more reputable when they are attached to accredited institutions. A for-credit university course certainly has the ability to cover more content than a weekend seminar that also offers a certificate program. It also carries the name/reputation of the university from which it comes (which can be good or bad, depending on the university). I’m not very familiar with for-profit training programs such as Oxford Seminars or AmericanTESOL Institute, though reviews are pretty unfavorable because they lack classroom experience. Without a degree, it may be difficult to get into some parts of the Middle East and Asia. European countries typically require CELTA Certification. South America, Central, Africa and more developing countries will have looser qualifications. In the US, a TESOL certificate is more likely to qualify one for part-time employment. The full time positions usually go to candidates with an MATESOL or related degree. The more desirable the locale (read: good salary, appealing destination), the better the qualifications needed. 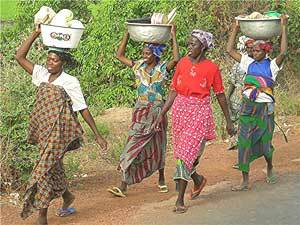 My first English teaching job was in Ouagadougou, Burkina Faso. I had a box of chalk, a chalkboard, one florescent lightbulb, and two frayed wires sticking out of the wall that I had to (carefully) maneuver to spark so the bulb would flicker on. That’s not to forget the nosy pigs outside my classroom and the braying donkey across the street. We had no textbooks, no internet access, and limited copier access. Surprisingly, it’s been one of my favorite teaching jobs in my life. If you have internet access, it’s a great place to find nearly anything you need! When travelling, gather any materials in English to use in your classroom – brochures, advertisements, magazines. They’ll provide great opportunities for students to practice reading authentic English. Check libraries (if there are any) for materials in English. 3. Get ideas from teacher forums. 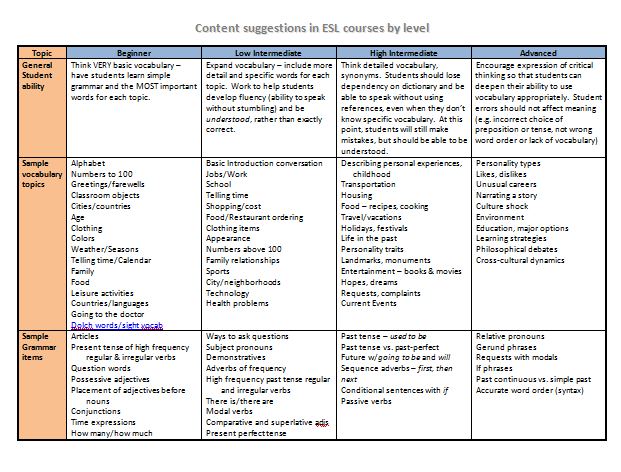 Twitter feeds – use hashmarks (#) to search for terms like #ELT, #ESL, #EFL, #ESOL, #TESOL, #TESL, #TEFL. Following twitter feeds helps like-minded people to each other. ESL Teachers’ Book of Lists. Filled with lists of anything an English teacher might need, this book provides a great starting point for those without textbooks or curriculum. 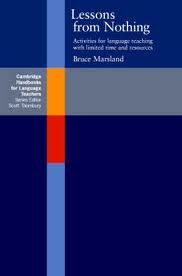 Lessons from nothing: Activities for language teaching with limited time and resources by Bruce Marland. Kizclub.com. This site is specifically for young English language learners and has TONS of free PDF activities – lots of games, puzzles, and interactive activities. If you’ve taught in low resource areas, what have you found helpful? ESL = English as a Second Language. Describes students learning English in a context where the majority population speaks English. This term is being used less because of the seeming inaccuracy in the term ‘second language’ – many English learners are learning their third, fourth, or fifth language. However it’s not as inaccurate as some might suppose. ‘Second language’ is a general linguistics term referring to any language that adds to a person’s first language. ELL = English Language Learner. The current word used by the US Department of Education to describe students learning English. EFL = English as a Foreign Language. Describes students learning English in a context where the majority population speaks a language other than English. EAL = English as an Additional Language. Commonly used in the UK for persons learning English. LEP = Limited English Proficient. This is a dated term used to describe students learning English. It has been phased out in an effort to define students by their proficiencies rather than their deficiencies. CLD = Culturally and Linguistically Diverse. Sort of explains itself, not very frequently used, but known among professionals in the field. ESP = English for Specific Purposes. Specialized training for very specialized content areas. Some examples of ESP include English for Restaurant Workers, English for Medical Professionals, English for Business Purposes. EAP = English for Academic Purposes. Specialized training for students who wish to study at the university level in English. IEP = Intensive English Program. Typically located at universities, IEPs provide a base for students wishing to continue their studies at an English speaking university. TESOL (TESL/TEFL ) = Teachers of English of Speakers of Other Languages. Refers to the international professional organization as well as the teacher training sector of the field. ELT = English Language Teaching. Describes the overarching field, regardless of context or population being taught. EIL = English as an International Language. Term describing the use of English around the world as a lingua franca. Did I miss something that you know about? Leave it in the comments and I’ll add it! Private Language Schools. There is no shortage of language schools. In many places, they will typically offer a higher quality of education and higher salaries than government schools (though this is not always the case, especially in the US where they often utilize part-time instructors). The clientele are often highly motivated and educated. Classes sizes are usually small. Intensive English Programs (IEP). IEPs can be run by private organizations or universities in English speaking countries. International attend IEPs to study English intensively and be immersed in an English speaking environment. At universities, their purpose is typically preparation to enter an academic setting (see English for Academic Purposes). The typically offer assessment and wide levels of instruction. Government Schools. 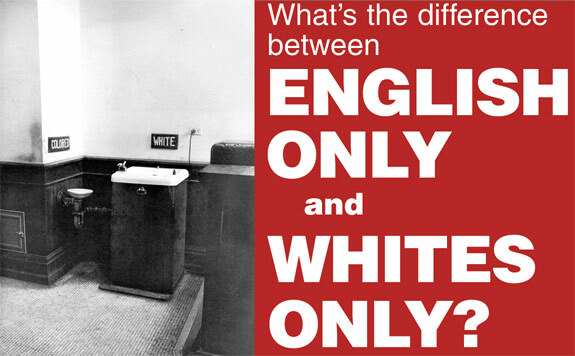 Due to the current nature of high-stakes testing in the US, public (government-run) schools teach English primarily through content-based instruction where students learn English through the medium of a specific subject. This can vary significantly from an EFL approach. I can’t speak to how other governments approach English language teaching – if you have something to share on your current country, please do so in the comments section! Private Schools, such as international schools or faith-based schools, offer ESL in a similar fashion to public schools. One difference from public education in private schools may be the resources the students have access to at home. Government organizations. The largest and most well-known government run English programs are the Peace Corps (US) and Voluntary Service Organization (UK). Other similar programs around the world are CUSO-VSO, World University Service of Canada (Canada), and Volunteer Service Abroad (New Zealand). While they do not only work in English language teaching, this is often a large part of their work. Private Tutoring. Tutoring opportunities abound from internet based to private tutoring. Clientele also varies from high school students to diplomats. In US cities, ESL tutoring can pay between $25-$75/hour. 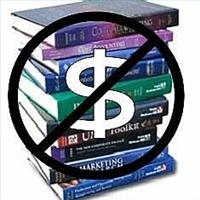 Tutoring for a pre-established organization may provide more contacts, but does pay less. Non-profit Organizations and Non-governmental Organizations (NGO). While non-profits and NGOs typically utilized volunteers, there are many paid positions within their ranks. Literacy Organizations. Many local literacy organizations also run ESL classes. Search for “literacy organization” and the name of your locale to get more information regarding these organizations. Missions Organizations. Typically affiliated with specific denominations, missions organizations are rooted in religious institutions. Many missions organizations use English Teaching as a tool alongside other works. The largest and most reputable Christian English language-based mission organization is English Language Institute China (ELIC). SIL also does a great deal of work in Literacy. Mormons also have a very established presence in TESOL, with a fair amount of research coming out Brigham Young University. Refugee resettlement agencies. Refugees are resettled in the US by agencies who are responsible for their transition to a new community. They often offer ‘crash’ survival English courses as a means to help refugees learn their new environment. Some of the larger refugee resettlement agencies are World Relief, Catholic Charities, Church World Service. The Office of Refugee Resettlement has a complete list of voluntary agencies operating in the US. 1. Make personal connections. 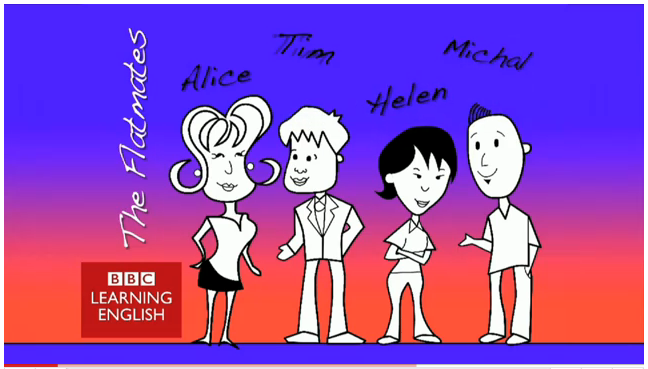 Talk with anyone you know – real or virtual - about their experiences teaching English abroad. In making these connections, you are more likely to find a placement that is reliable and positive. At the very least, it will help you determine what questions to ask agencies you’re considering. 2. Check out job forums. My favorite is the International Job Forum at Dave’s ESL Café. Here, you can search by country and see discussions of people I get many emails asking, “What do you know about teaching English in ___?” Truth be told, I don’t. The field is too big for even teacher educators to know everything! However, you can ask these questions in forums and get straight answers. What kind of internal politics affect the institution? Were the terms you were given when you were hired the same as what actually happened? Was there anything that frustrated you about working there? It will be far better for you to go into a situation with open eyes than be blindsided in the midst of culture shock! 4. Get experience. The more qualifications you have the more likely you are to catch an employer's attention. Even though you don't get paid to volunteer, it does give you experience which may eventually qualify you for a job. Do you like to plan? I just heard a teacher say the other day that she’d love teaching if it weren’t for the lesson planning and grading. While her comment earned my sympathetic ear, being able to prepare and assess effectively are crucial and large components of any classroom. Slapping together lessons or scantily grading assignments do not create a positive learning environment. Would you like to teach English for a short time or a lifetime? Depending on a person’s goals, their pursuit of training would vary. Some people are interested in teaching English merely as a way to travel or gain entry into certain countries (see Ethics in TESOL for more dilemmas of this sort). In this case, a short term Certificate training program would be ample preparation to teach. However, once one identifies that they’d like to make a lifelong, sustainable profession out of English teaching, an MATESOL or related degree is a necessity. For those interested in teaching in more reputable institutions or teacher training programs, a PhD is necessary.